Although everyone has goals, only some people successfully attain their respective goals on a regular basis. With this in mind, the author attempts to answer the question of why some people are more successful than others. 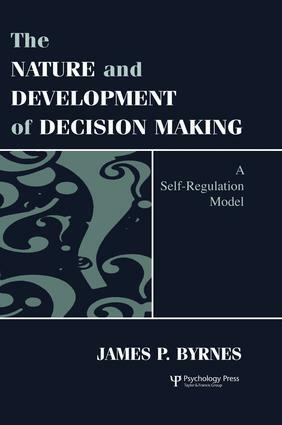 He begins with the assumption that the key to personal success is effective decision-making, and then utilizes his own theory--The Self-Regulation Model--to explain the origin and nature of individual differences in decision-making competence. The author also summarizes a number of existing models of decision-making and risk-taking.